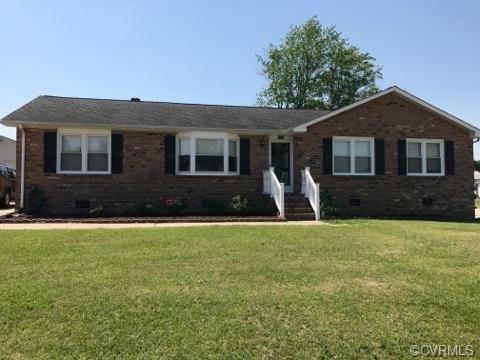 Lovey brick ranch style home with 3 bedrooms, 2 updated bathrooms, family room and formal living room. Eat-in-kitchen and separate laundry room. Nice deck and patio area great for entertaining and 1-car detached garage. This beautiful home has a lot to offer and is situated on a large corner lot. Come out and take a look.